This sturdy, impressive 48” wide retractable banner stand is available from Creation Station Printing at an incredibly affordable price. 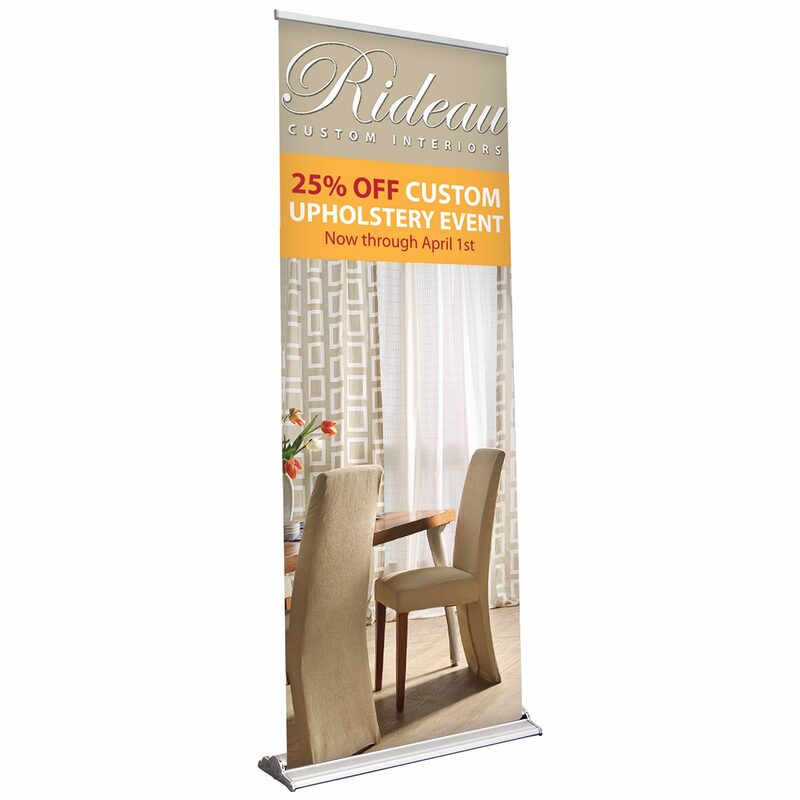 You can display your company or event information instantly at any venue with a custom full-color printed banner and user-friendly retractable frame design. Quality large format digital printing services provide sharp graphic output and vibrant color profiles to give your business, school, event, or trade show booth the attention it deserves. The lightweight and portable advertising display is perfect for traveling to and from each exhibit destination. The banner is self-contained within the base to protect the poster from tearing or fading in storage or transportation. A quick and easy marketing solution for any business or organization, a Premium Banner Stand from Creation Station is a must-have advertising tool. Product turnaround is based on hardware availability. If have a super rush need or a hard deadline within 1-2 days, please call to ensure we can accommodate your turnaround.